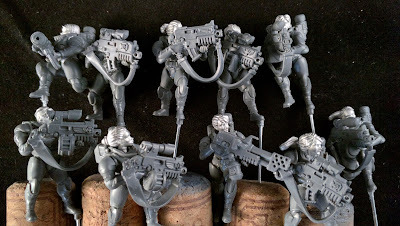 So I have never been a real fan of the whole "fail-cast" fiasco, perpetrated by Games Workshop. 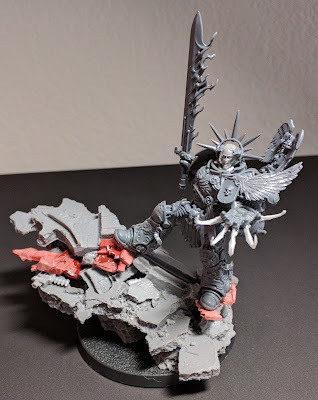 As an unfortunate side affect of this, I have never gotten around to purchasing an Arjac Rockfist. Not a problem. I thought I would go one better, and make my own. Here are a few mock-ups of what I have in mind. 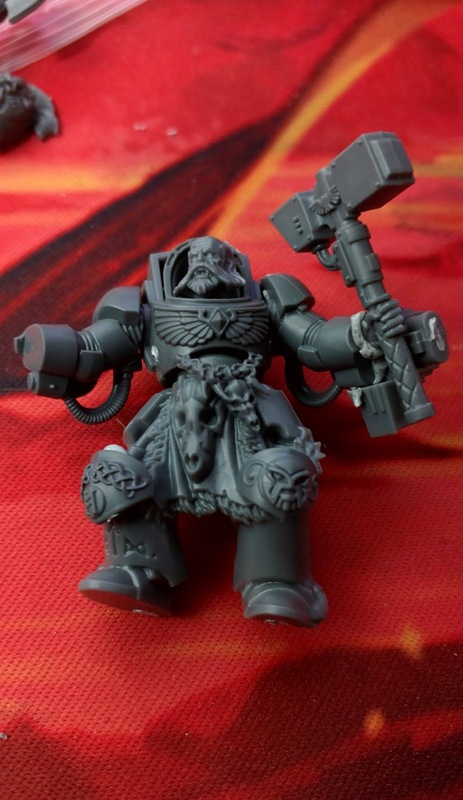 The first one, below, is a straight kit-bash of a Wolf guard terminator, Long Fangs head, Dwarf Hammerer shoulder pads, new Assault marine Thunder Hammer, and both Grey Knight terminator arms. 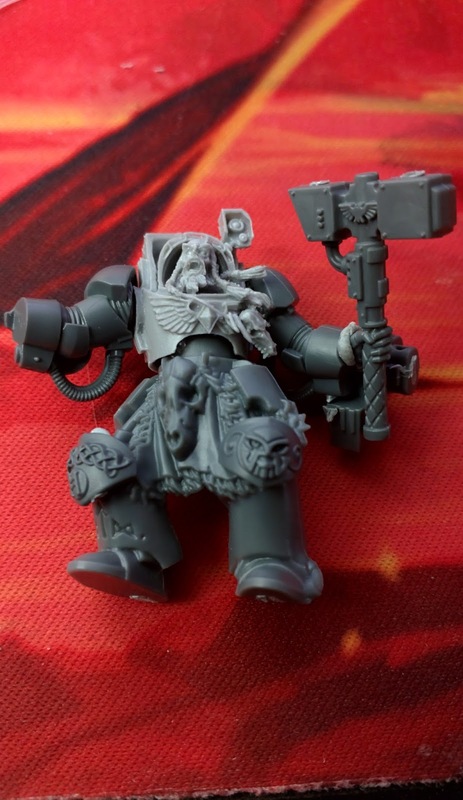 The second one, utilizes Wolf guard terminator legs, Forgeworld torso, Dwarf Hammerer shoulder pads, new Assault marine Thunder Hammer, and both Grey Knight terminator arms. 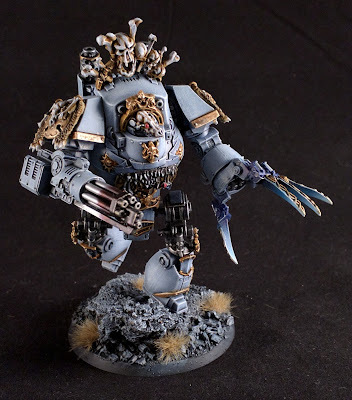 I am still wondering how I am going to do his storm shield. 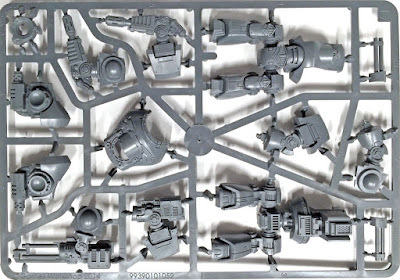 As it is round and Thundercav and Santa sleigh shields are round but too small, I am wondering if I should build one from plasticard or adapt something from a Wolfguard terminator storm shield.